Hellene, the creator of Mother Earth Aromatherapy, was raised on a small farm, in the rolling hills, of picturesque Jarrahdale, in Western Australia’s South West. Fresh air, rain water & an abundance of organic living were a part of her daily life, growing up. In 1993, Hellene was introduced to Aromatherapy by her free spirited Grandmother, who invited her to attend a ‘Natural Skincare Workshop’, which re-kindled her passion for herbs, healing & all things natural. After purchasing some raw ingredients & countless little bottles of oil, she entered her kitchen, with her ever encouraging, fun loving & supportive Granny by her side. The girls began to create & from there, was born a special range of products. The seed was planted, the ‘Little Jars of Bliss’ began to sell, they were loved ! A series of incredible coincidences, coupled with feminine intuition, led to the creation of Mother Earth Aromatherapy. After the name became clear, Hellene registered the business & from that moment on it rapidly grew, word of mouth spread & Mother Earth Aromatherapy began to blossom & bloom. Hellene attended a local Country Market & it was here that she was discovered by a Fremantle Business Woman, who purchased the entire range, with hand painted labels, to sell in her shop in Cosmopolitan Fremantle, the very first big customer ! Hellene’s ‘Labour of Love’ was becoming an exciting & fun filled business. For the next few years Mother Earth Aromatherapy became a successful stall at the famous ‘Fremantle Markets’. After many wholesale enquires, Hellene then began supplying to stores throughout Australia, always with the loving support & assistance of her family & friends. 23 years on, Hellene’s kitchen-based hobby has now matured into a successful Western Australian based business supplying health food, pharmacy, beauty therapy & gift stores. Operating from a beautiful cave like Aromatherapy Studio, built of limestone, situated in South Fremantle. 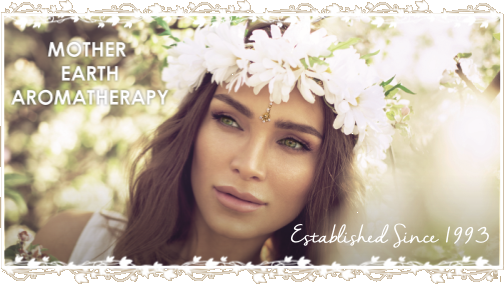 Mother Earth Aromatherapy employs a beautiful group of nurturing & caring women, with all the same vision & a genuine love & concern for the earth & health & well being of woman today. Together, they create, by hand, fresh, small batches to ensure quality & perfection of each jar & bottle they produce. Their recipe for success ? Love, care & integrity ! We live in such a fast paced, hectic world, so often forgetting about ourselves … We forget to love our bodies, to take time out & relax, to breathe in nature, to find joy in the moment & most of all, we forget to nurture our precious selves! 100% Pure Health Food for your skin, hand crafted in fresh small batches, with lots of love & care. Our range has been created from the purest ingredients Mother Earth has to offer & enhanced with carefully chosen blends of exquisite essential oils & botanicals. Please take the time to read our ingredient labels, we really are natural & we really do care. We proudly offer you, the essence of nature in the convenience of a jar! Our growth & sales reflect the success & popularity of our beautiful products & for this, I am truly grateful. I wish you delightfully decadent days ahead. Please be sure to take the time, every day, to allow beauty in your life & truly love being the woman you are!